Stainless Steel Alloy 420 Plate, ASTM A240 420 Stainless Steel Plate, SS 420 Grade ISO AISI 420 Stainless Steel Plates, 420 Stainless Steel UNS S42000 Plates, Grade 420 stainless steel Plate, AISI 420 Alloy Stainless Steel Plate, Manufacturers, Suppliers, Exporters, Mumbai, India. Grade 420 Plate stainless steel is a high-carbon steel with a minimum chromium content of 12%. Like any other stainless steel, grade 420 can also be hardened through heat treatment. It offers good ductility in its annealed state and excellent corrosion resistance properties when the metal is polished, surface grounded or hardened. This grade has the highest hardness - 50HRC - among all the stainless steel grades with 12% chromium. Stainless steel grades that are similar to grade 420 stainless steels Plate include martensitic steels such as the other versions of grade 420, having vanadium, sulphur and molybdenum in their composition, and the grade 440 series. Non-standard grade 420C has carbon content that is little higher than that of grade 420. 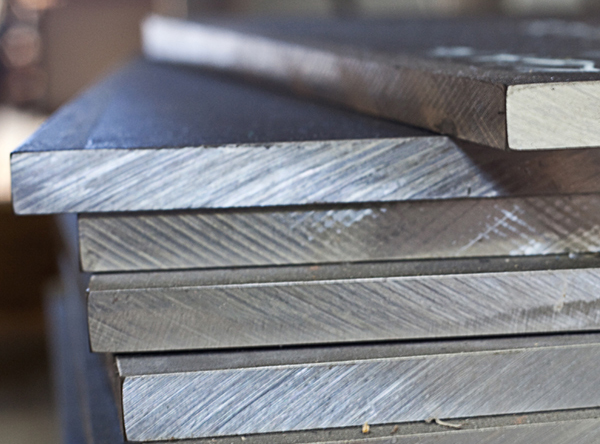 Martensitic stainless steels are ones with high hardness and high carbon content. These steels are generally fabricated using methods that require hardening and tempering treatments. The operating conditions of martensitic steels are affected by loss of material’s strength at high temperatures, and decrease in ductility at negative temperatures. The following properties are mentioned for bar products in ASTM A276. The specification may not necessarily be similar for other forms, such as forgings and plate.